Person: My dear friend Eva who is in her mid sixties and one of my best friends. And not in a parent type of way. She is the same age as my parents and her children are my age, but it is the friendship between her and I that is special. I met Eva in 2006 in a yoga class where she was loud and energetic. I thought, “Who is this crazy woman who seems much older than me and yet her practice is much stronger than mine” Somehow we got talking and she mentioned that she cuts hair and I happened to need a haircut so I went to see her. During the first time I got my hair done with Eva–who I now have been seeing for my hair almost exclusively for the past 6 years–Eva mentioned a dance class in LA and didn’t have much info on it except that it was supposed to be like dancing out your emotions. Well, if there is one thing that Eva and I have in common it’s that we are people who experience a full spectrum of emotions to the fullest (some may refer to us as crazy. I like to think of it as “in touch”). I barely knew Eva and I barely knew details about dance and agreed to go. At the time we went,Fumbling Towards Ecstasy was held at the LA Fencing Center. Though I found it slightly weird with people walking in and beginning to move in whatever way felt right, I had enough exposure to an open, artistic, expressive and spiritual community to feel comfortable to step onto the fencing floor, close my eyes and begin to explore movement – for me, it is a moving meditation. The music guided the experience–it began with stillness, then went on to soft, lyrical and flowing energies to sharp contrasts from time to time to visually move the mood of the room–and the build up led to a crazy peak of chaos in which I was riding on an energy that was so powerful – an amazing high that I can’t compare to many natural highs. The whole community was so open to Eva and I. We met some great individuals from a variety of backgrounds and professions. 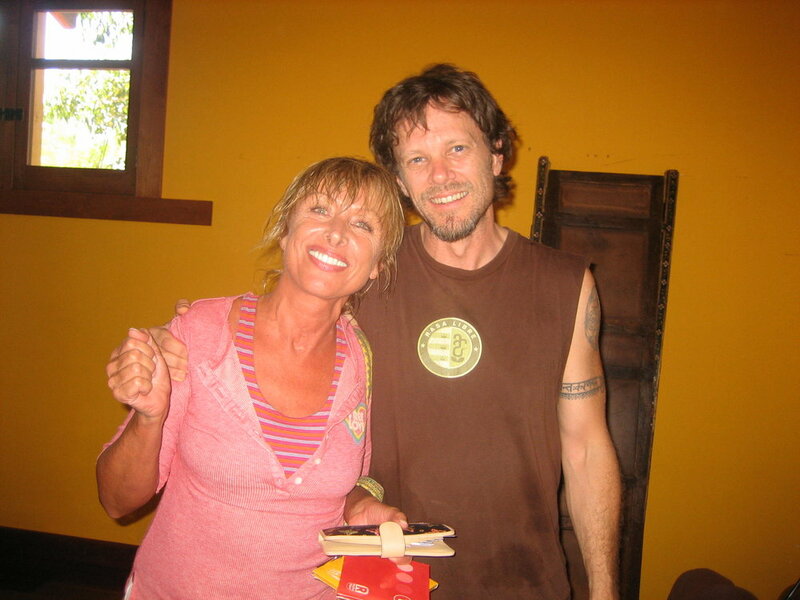 Eventually, Eva and I ended up on a retreat with Jo Cobbet, the amazing woman who runs and DJs FTE, it was called Dream Sanctuary for the Soul in Ojai, CA (the next two sets of photos are from that magical retreat). To this day, though it has been four years since moving from sunny California, it is a Sunday ritual whenever I am in California for Eva and I to have the deepest talks on our drive to LA (from Orange County) and then we dance our hearts out for 3 hours, sometimes crying, laughing, hugging, having highs, screaming, and the emotional release and physical freedom of it feels all feels amazing, energizing and liberating.